A virtual reality system could combat the symptoms of Parkinson’s disease, according to a new study. Patients walked over virtual objects on a treadmill – and researchers claim it could help improve balance. The muscle and movement problems caused by the disease decrease range of motion and can cause falls. For many with Parkinson’s, the simple act of walking through their house or street can be dangerous. In the study, researchers created a virtual reality system which allows patients to ‘hone muscle control and balance’. After practicing for six weeks, patients demonstrated improved obstacle negotiation and balance – along with more confidence navigating around obstacles in their path. If they were successful in one round on the treadmill, the objects became larger as the levels progressed. 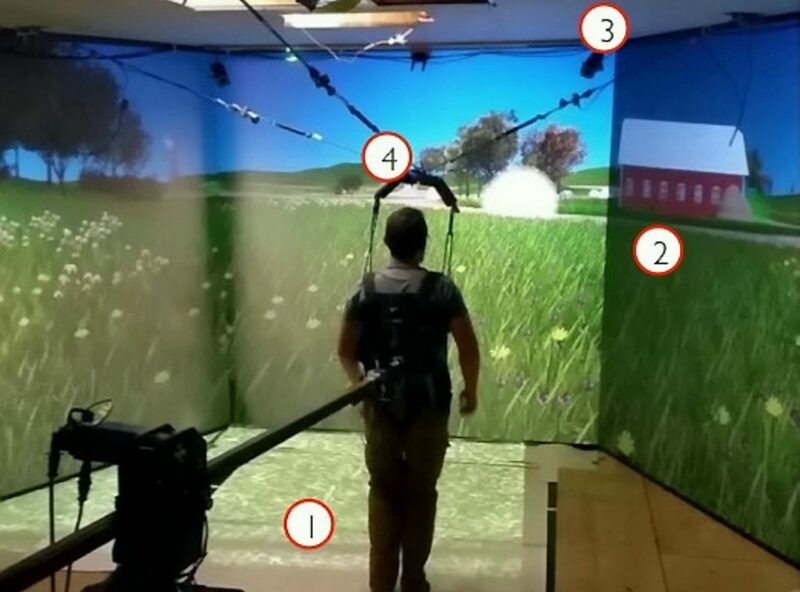 A team at the University of Utah in the US tested the programme at their Treadport, a virtual environment which projects digital scenes across the walls and floor. Associate Professor Bo Foreman, director of the Motion Capture Core Facility at the University of Utah, said the experiment was fun for patients. He said: “Participants enjoyed the experience and thought it was fun, not just exercise. The researchers tested their training system in ten patients with Parkinson’s Disease who used it for three 30-minute sessions a week for six weeks. After the programme, participants showed significant improvements in their ability to negotiate over large and small boxes. They also showed better balance and a wider range of motion in the hip and ankle, all of which have been shown to correlate with a lower risk of falls. Prof Foreman added: “We are hopeful that this improved performance relates to decreased falls in their everyday life. The research team is now working with the University of Utah’s hospital system to explore adding a Treadport to its rehabilitation facility. They also hope to adapt the virtual reality system for head-mounted virtual reality devices – making it easier to use in a clinical setting. As a next step, the team plans to compare the study with others where Parkinson’s patients have undergone traditional training programmes. Prof Foreman was due to present the findings at the American Association of Anatomists annual meeting in Orlando, Florida.